Hip replacement surgery the second most common joint replacement procedure, closely following knee replacements. Many people have hip arthritis, but it can be difficult to know when the right time to have a hip replacement surgery is. The word ‘arthritis’ means ‘inflammation of the joint.’ Most people think of arthritis as the wearing away of cartilage in a joint — this is the end result of inflammation within the joint. Over time, the inflammation can lead to cartilage loss and exposed bone, instead of a normal, smooth joint surface. The most common type of hip arthritis is osteoarthritis. This is often referred to as “wear-and-tear” arthritis, and it results in the wearing away of the normal smooth cartilage until bare bone is exposed. Other types of arthritis include rheumatoid arthritis, gouty arthritis, and lupus arthritis. 2. Am I Ready for Hip Replacement? Hip replacement surgery is performed when the hip joint has reached a point when painful symptoms can no longer be controlled with non-operative treatments. In a hip replacement procedure, your surgeon removes the damaged joint surface and replaces it with an artificial implant. A total hip replacement is a major surgery, and deciding to have the surgery done is a big decision. You have hip/groin pain that keeps you awake, or awakens you, at night. You have hip pain that limits activities necessary to go about your daily activities (getting up from a chair, climbing stairs, etc.). You have hip pain that limits activities that give you pleasure (walking for exercise, traveling, shopping, etc.). You have tried other treatments for a reasonable period of time, and you still have persistent hip pain. There are many other factors you and your doctor must consider prior to surgery, including age, overall health, and bone density, but the list above will give you an idea when you should begin to consider hip replacement surgery. Your hip pain does not limit normal activities. Your symptoms are improving with more conservative treatments (medications, activity modification, etc…). Patients who fit these criteria usually need more effort at treating their hip pain with more conservative measures. Discuss these options with your doctor. Too Young for a Hip Replacement? Hip replacement surgery has long been used to treat hip arthritis in elderly patients. However, concerns arise when a patient in his 40s, 50s, or younger, has severe hip arthritis that is not relieved with non-operative treatments. Once reserved for elderly patients, hip replacement surgery is becoming more common in the younger, active population. No one can definitively answer this question, but what we do know is that the benefits of performing hip replacement surgery in younger patients may outweigh the risks of surgery. The benefits are primarily quality of life, pain reduction, and maintaining proper fitness. By accomplishing these goals, patients may also reduce the risk of developing other problems associated with poor fitness such as cardiovascular disease. The primary problem in performing hip replacement surgery in younger patients is the concern of wearing out the implant. Developments in manufacturing have sought to reduce the magnitude of this problem, but it is a concern. 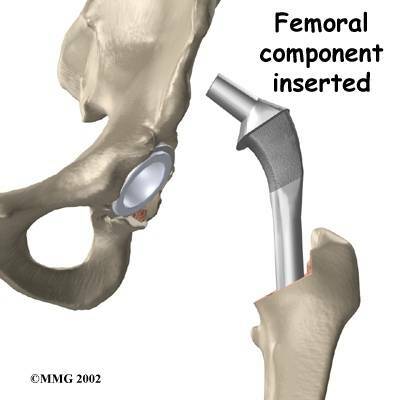 Furthermore, the amount of wear to a hip replacement is related to the activity level of the patient. As you might expect, the usual activities of the average 30 year old are different from the average 80 year old. Therefore, young patients with joint replacements should be cautious, and perform only suggested activities. 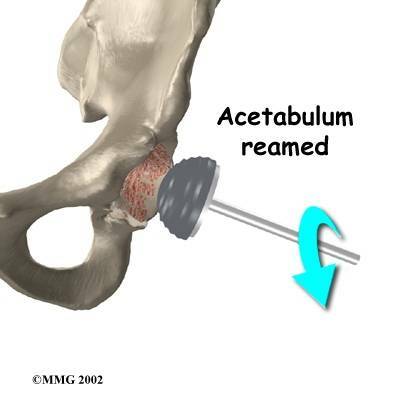 What Are the Results of Hip Replacement in Young Patients? The results of hip replacement in patients younger than 50 years of age is clearly not as good as it is in older patients. However, these studies show that almost 90% of implants are still functioning 10 years after surgery, and more than 60% are still working after 15 years. We know that the younger age you have a hip replacement, the more likely it is to wear out quickly. What we do not know is how newer implants may affect the longevity of a hip replacement. 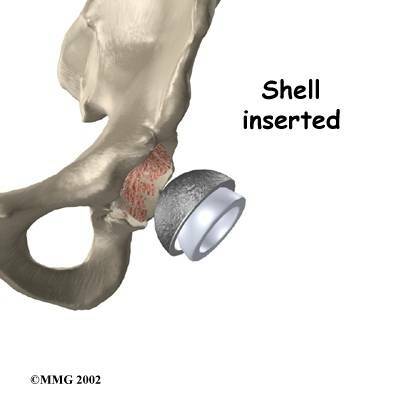 Most studies looking at how long hip implants last are evaluating traditional metal and plastic replacements. Newer implants made of all metal, or ceramic have shown better results in laboratory testing. It is important to understand, however, that lab results are not always predictive of how these implants will work in people, and we simply do not know if these newer implants are going to last longer. Daras M, Macaulay W. “Total Hip Arthroplasty in Young Patients With Osteoarthritis” Amer Journal Orthop. 2009 Mar;v38,n3:125-29. McAuley JP, et al. “Total hip arthroplasty in patients 50 years and younger” Clin Orthop Relat Res. 2004 Jan;(418):119-25. Am I too old for joint replacement? Joint replacement surgery is a common treatment for severe arthritis. Hip replacement and knee replacement are the most frequently replaced joints. These surgeries are most often done in patients between the ages of 55 to 80, but they can be performed in patients in their 80s and 90s. Answer: There is no age limit to have a joint replacement surgery. If fact, age has little to do with the decision making for when to have joint replacement surgery — except for those who need joint replacement at a young age! What factors are considered if age is not important? Your overall health including any medical conditions you may have. Your primary physician will perform a complete examination and determine if you are likely to safely tolerate anesthesia, surgery, and recovery. Being able to rehabilitate after joint replacement requires some strength. Patients will need to help lift themselves, use walkers or other devices, and participate in physical therapy. It is important for patients to understand the process of joint replacement. By understanding the procedure and the rehabilitation, the patient will be an active participant in his recovery. 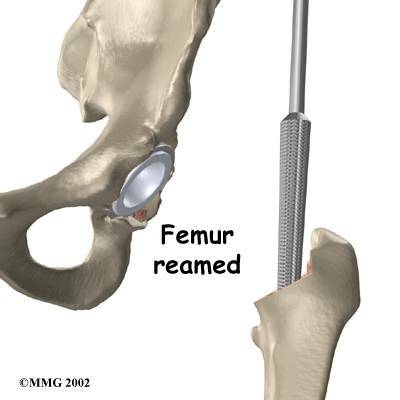 This is especially important for hip replacement surgery where special hip precautions are needed after the procedure. If you are wondering about your age and joint replacement, discuss this with your doctor. There is no age after which joint replacement cannot be performed. As patients get older, care needs to be taken to properly determine those patients who can tolerate the surgery and the recovery. Poss R, “Total Joint Replacement: Optimizing Patient Expectations” J. Am. Acad. Ortho. Surg., Oct 1993; 1: 18 – 23. Is it a bad idea to postpone joint replacement surgery? Patients with hip and knee arthritis may be told by their doctor that they will need a joint replacement at some time in the future. Is it safe to wait to have the surgery, or should you have it now? The rule of thumb for when to have a joint replacement is when no other treatment adequately relieves your pain. Treatments are available for arthritis, including glucosamine, anti-inflammatory medications, cortisone injections, physical therapy, and others. Only when these treatments no longer provide adequate relief should a joint replacement be considered. It is true that as arthritis progresses, the normal joint erodes away. However, progression of arthritis seldom makes a joint replacement harder to perform. The surgical procedure is the same even when arthritis is in its latest stages. For people with severe joint arthritis, it may be worthwhile to regularly see your orthopedic surgeon if you are concerned about the progression of your arthritis. Is there any reason to have a joint replacement now? Patients should not become sedentary because of bad joints — that can lead to other health problems that are harder to manage than worn-out joints. Patients who are sedentary risk gaining weight, losing cardiovascular fitness, and developing other medical problems. It is important to be able to exercise. And if you cannot get regular physical activity because of joint pain, joint replacement may be something to consider before becoming sedentary. Studies have shown that patients who are healthier going into joint replacement surgery tend to have better results after surgery. Therefore, it is important to consider your overall health and fitness when deciding whether to have joint replacement. So if I have pain when exercising, I should have joint replacement? The decision to have joint replacement should not be confused with preference of exercise! Just because you cannot participate in impact sports, such as basketball or jogging, does not necessarily mean that joint replacement should be done. People should try to participate in low-impact fitness activities, such as cycling and swimming, rather than impact sports. Only when these low-impact activities become difficult should joint replacement be considered. Fortin PR, “Timing of total joint replacement affects clinical outcomes among patients with osteoarthritis of the hip or knee.” Arthritis Rheum. 2002 Dec;46(12):3327-30. Treatment of hip arthritis should begin with the most basic options and progress to the more involved, which may include surgery. Not all treatments are appropriate for every patient. 4. How Long Does Hip Replacement Last? 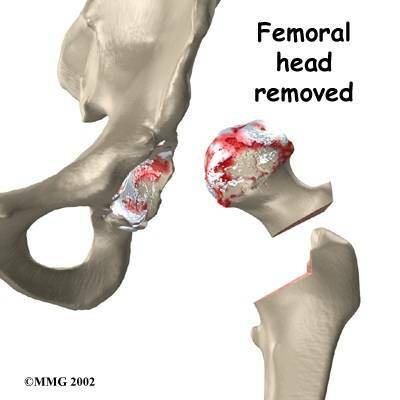 Hip replacement surgery is a treatment for severe hip arthritis. Most patients understand that hip replacements can wear out over time, but exactly how long is a hip replacement supposed to last? Hip replacement surgery removes the damaged joint lining and replaces the joint surfaces with an artificial implant that functions similar to a normal hip. These implants will wear out over time, and hip replacements are done infrequently in younger patients because of the concern of the implant wearing out too quickly. Hip replacement implants have been modified in order to provide the best possible functioning with long-lasting results. This effort to perfect hip replacement implants is constantly taking place. Some newer implants have promise, others may not turn out to be better. Answer: Asking orthopedic surgeons what hip replacement is best is like going to a car show and asking people which car is best. You’ll find lots of different answers, and each person thinks they’ve got the right one. Orthopedic supply companies have begun to advertise directly to consumers. The advertisements might make you believe that one implant has been shown to be better than others. This has been seen recently with ads for ceramic hip replacements. The truth is that no one knows what the “best” implant is. The ideal hip replacement implant will allow for normal activities, normal motion, and last the patient’s lifetime. The only way to know if these goals will be met is to use the implant in people doing normal activities, and follow their results for decades. Therefore, implants designed recently do not have long-term track records that prove their longevity. If you have questions about a specific implant, ask your doctor about the hip replacement prosthesis. Ask your surgeon to compare it to the implant he or she usually uses. If you want more information about an implant, you can read more from at company websites. 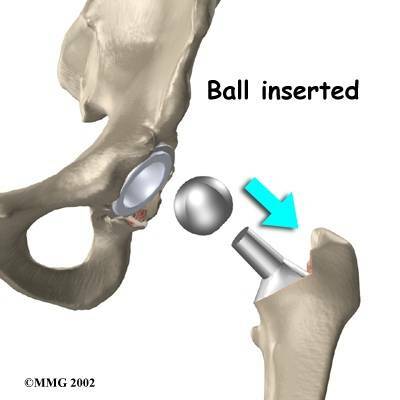 When a hip replacement is performed, the bone and cartilage on the ball-and-socket hip joint is removed. This is performed using precise instruments to create surfaces that can accommodate the implant perfectly. 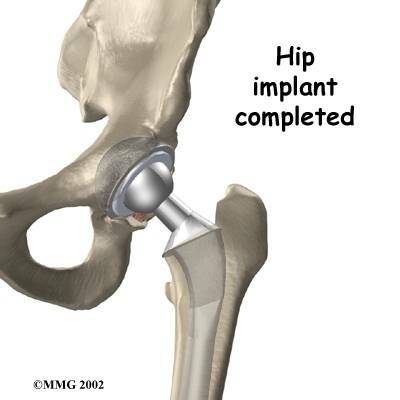 An artificial hip replacement implant is then placed in to function as a new hip joint. My Dr wants to replace both my hips, 1 on a Monday and 1 on a Friday of the same week. Is this recommended? Double hip replacements are done. Sometimes on the same day but they are big operations and the persons ability to cope with both operations in one day is up to the patient and the surgeon. Several days apart may be prudent – again ask your surgeon – but it does not seem unreasonable. Yes it is! But it is a tough one for your body but its what I wish I had done! I still have one to go!